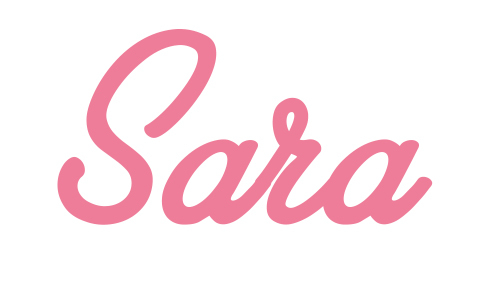 La lettera K dell'ABC Challenge mi ha fatto davvero pensare a lungo, la K non è davvero una lettera facile! 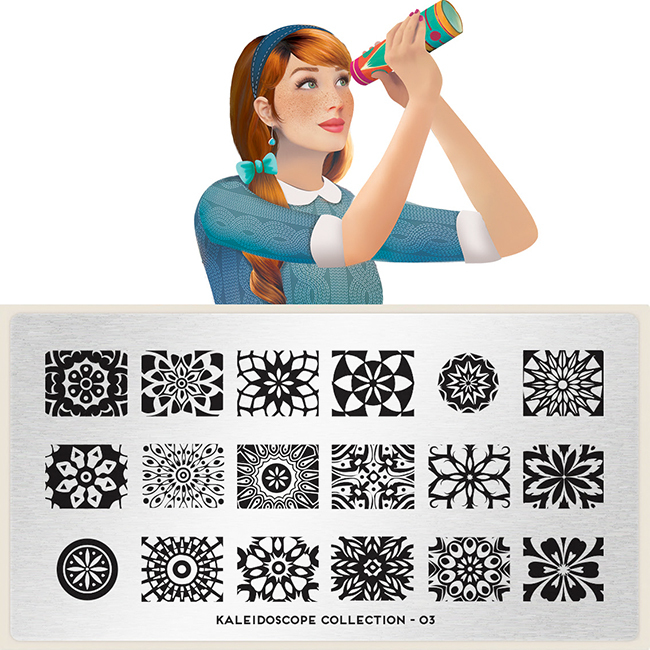 Alla fine, mi è venuto in mente un disco per nail stamping che ho usato una sola volta, il #03 della collezione Kaleidoscope di MoYou London. Ho deciso di fare solo l'accent con la tecnica dello stamping e per il resto delle unghie un semplice layering (aggiungere a uno smalto un top coat con effetto speciale) con uno smalto che adoro e che avevo già usato in questa manicure. Sono partita da una base bianca e vi ho applicato due passate di China Glaze Point Me to the Party. Nel frattempo ho preparato uno sticker stampando una delle mmagini del disco con lo smalto nero e colorandolo con i colori primari dell'arcobaleno. Ho applicato lo sticker sull'accent e poi ho protetto tutto con il top coat. 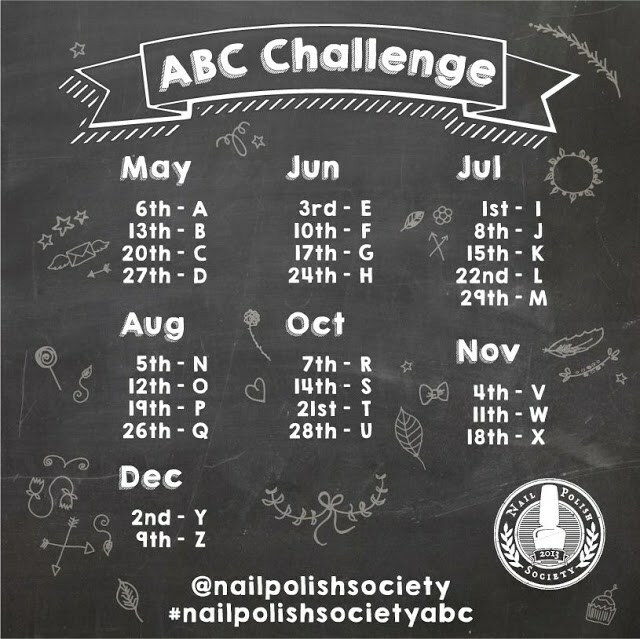 I thought about K of ABC Challenge for a while, K is not an easy letter! 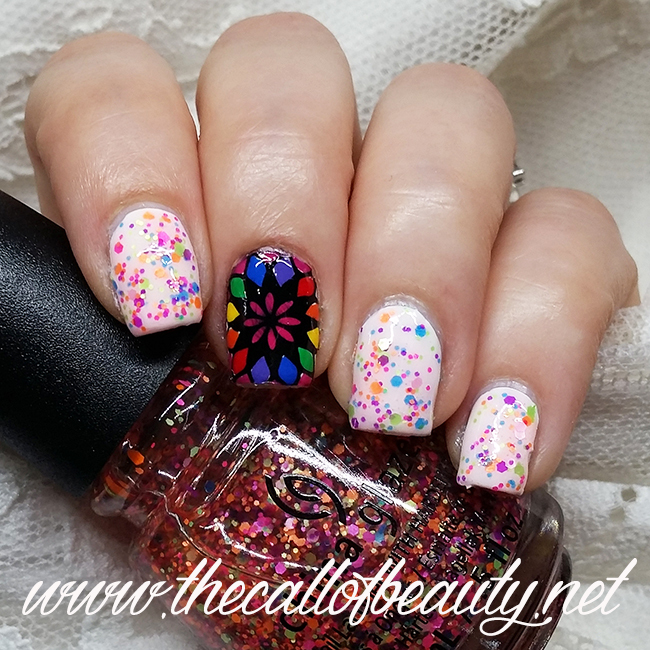 Then a nail stamping plate came to my mind, #03 from MoYou London Kaleidoscope collection. I used this plate just for one time. I decided to do my accent with reverse stamping technique and to leave the rest of my nails with a simple layering. I layered my base with a polish that I do love and that I used before, you can see my mani here. I started from a white base and topped with two layers of China Glaze Point Me to the Party. 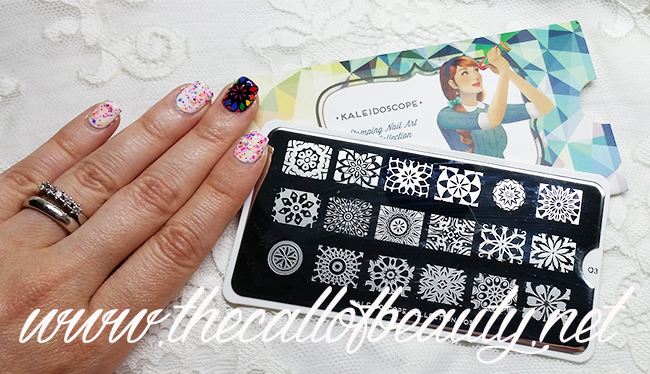 Meantime I created a nail sticker with black stamping polish. I colored the sticker with a bunch of rainbow polishes. I applyed the sticker on my accent nail and I protected my nail art with top coat. Very nice multi-glitter nail polish and the decal came out excellent!